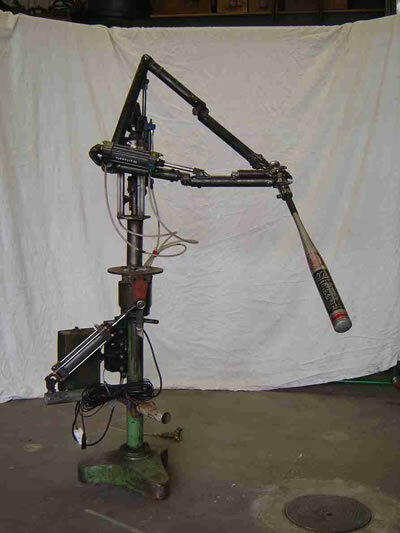 The amazing baseball batting robot, created by Frank Barnes of Robocross, is a hitting wonder. It hits well enough that baseball owners tired of the steroid scandal may opt for electromechanical hitters instead. As the video above shows, it's got the advantage over robotic pitchers. Update 25-Jul-2009: Take a look at these two baseball robots - a robotic hitter and robotic batter. End update.